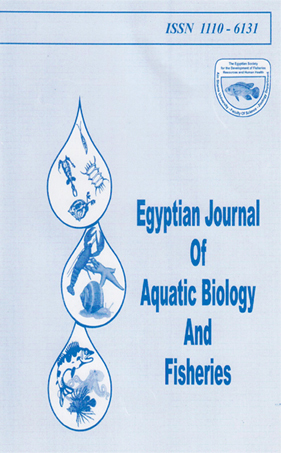 This research is the first study of Illex coindetii from the deep sea fishing ground adopted in the Egyptian Mediterranean Sea. That assist to prevent stock reduction by estimation of growth parameters, mortality, and size at maturity which taken as a reference point of minimum legal size to prevent stock depletion. Specimens of Illex coindetii were collected from bottom trawl vessels at 250:850 m depths from the Egyptian Mediterranean Sea. A total of 370 Illex coindetii individuals 189 males and 157 females and 24 unidentified sexes were carried out seasonally in 2016. The length-weight relationship showed negative allometry for females and sexes combined "b" 2.01, 2.64 and positive allometric growth for males "b"3.16. There has been a difference between the sexes with concern length-weight relationships with males being smaller and lighter than females. Age was determined using length frequencyanalysis. The asymptotic length(L∞), the growth rate (K) and (t0) were estimated as 21 cm, 0.570 year-1 and -0.341 years for males, 31.5 cm, 0.22 year-1and -0.755 year for females and 31.5 cm,0.28 year-1 and -0.587year for sexes combined respectively. The annual total mortality (Z), natural mortality (M) and fishing mortality (F) were estimated at 2.94, 1.05 and 1.89/year for males while those of females were 2.76, 0.746 and 2.02 and 2.79, 0.74, 2.05/year for the sexes combined respectively.ML50was estimated as, 14.35 cm for females and 11.51 cm for males. Two peaks in GSI were attained of mature females, one in spring and the other in autumn. The result of the exploitation rate of the sexes combined (0.73) indicated overexploitation which was higher in females (0.73) than males (0.64).